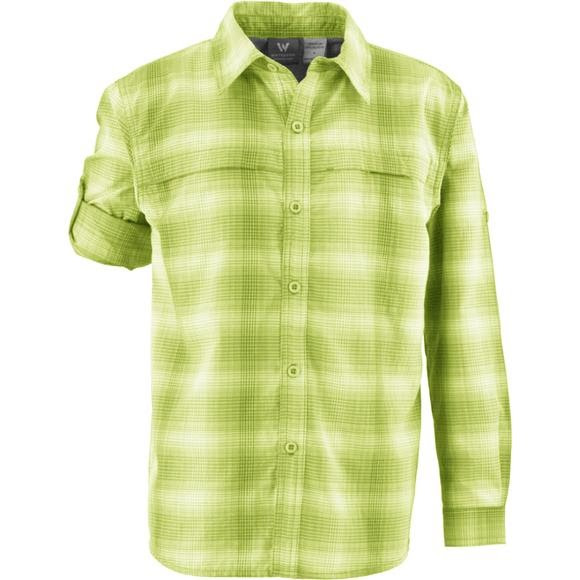 Enjoy the new Boy's Ningaloo Long Sleeve Shirt! Built with quick drying fabric, drop in chest pockets under flange, and UPF sun protection; this is perfect for enjoying many outdoor adventures! Enjoy the new Boy&apos;s Ningaloo Long Sleeve Shirt! Built with quick drying fabric, drop in chest pockets under flange, and UPF sun protection; this is perfect for enjoying many outdoor adventures! Garments made of strong, light weight fabric that can be crammed and squished into a small space with faster wrinkle recovery. Fabric treated or constructed to provide UPF sun protection from the sun&apos;s UVA/UVB radiation. Moisture management properties pull moisture to the surface for quick evaporation.